At the end of almost every garden season, I, like many of you, are left with an abundance of one or two things. For me, it is usually tomatillos, a.k.a. tomato verde, Mexican husk tomatoes, jamberries, little tomatoes, whatever you want to call them. I call them delicious. Lucky for most of us, the outdoor cannabis harvest and the end of gardening season usually coincide, which often leads to some dank salsas in our household. 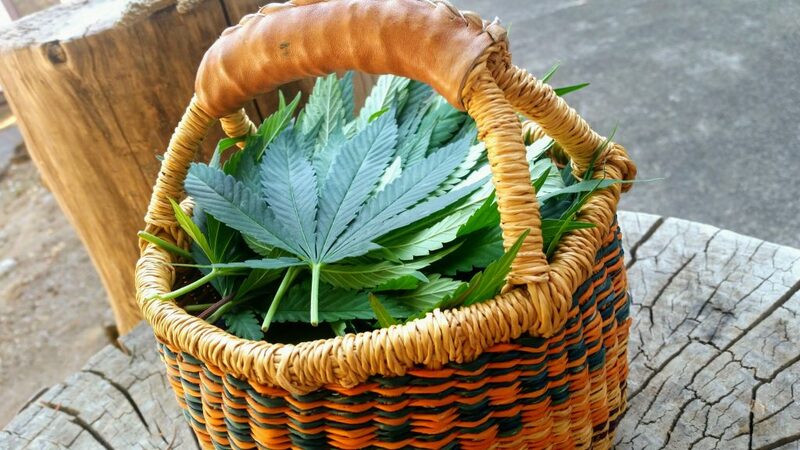 Although there are only several states (10) that allow legal recreational cannabis use, it is still fairly easy to get your hands on a bunch of cannabis fan leaves (easier than getting a zip of kush these days). 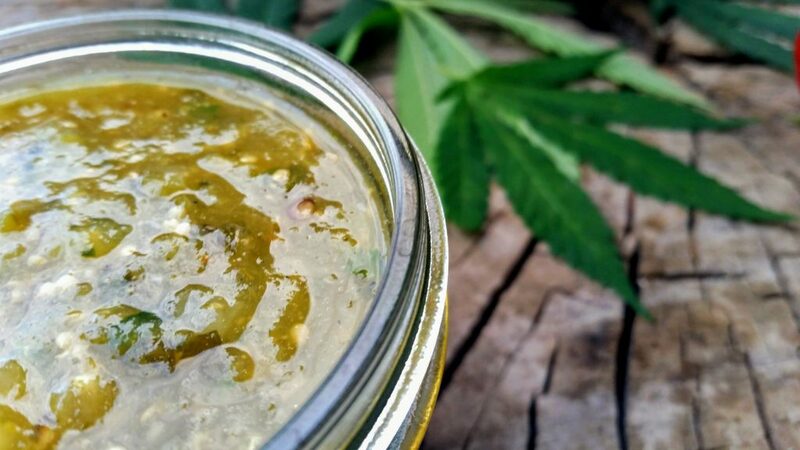 The combination of citrusy fresh tomatillos, refreshingly spiced fresh cannabis leaves, cilantro, jalapeños and lime juice make an incredibly fresh and vibrant salsa: fruity, slightly herbaceous, definitely tart and acidic. Using the water soluble cannabis sugar will help tame and balance the tartness of the late-season tomatillos, while roasting or charring helps concentrate the flavors and adds some depth and sweetness. We usually can around 20 pints of this salsa to make it through the winter months without a garden. Enjoy this as a salsa or use it to braise a pork shoulder. Either way, you win. In a hot dry cast iron skillet over med/high heat, place the tomatillos, peppers and the garlic cloves in their peel. Sear the vegetables on all sides until lightly charred, moving around with the tongs. Remove the vegetables from the pan… let them cool to room temperature. Place the cooked vegetables and all of the remaining ingredients in a blender. Pulse until the mixture reaches your desired consistency. Adjust seasonings (lime juice, salt, pepper and cumin) mix well. Place in a container and cool overnight in the fridge before serving.